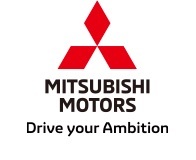 TOKYO, Apr 10, 2019 - (JCN Newswire) - Mitsubishi Motors Corporation (MMC) announced that Mitsubishi Motors Philippines Corporation (MMPC) hit its 1 million-unit sales milestone this year. The company has been logging various milestones in its historical books and this particular achievement is deemed to be a highly memorable one. The company has been operating for over 55 straight years as an automotive manufacturing plant and distributor which remained in the country even in times of economic difficulties. Through the unwavering commitment of all its past and present employees, dealers, suppliers and loyal customers this new milestone was realized. MMPC is so grateful and very fortunate that its products remain to be one of the leading and trusted brands in the country since then. As shared by Mutsuhiro Oshikiri, MMPC President and CEO, "Mitsubishi Motors Philippines has been selling top quality vehicles to the Filipino people for more than five decades. This unprecedented record withstood the test of time which brought us to where we are today." In related event, MMPC also salutes the government, particularly the Department of Trade and Industry (DTI) Board of Investment (BOI) for their continued support for the growth of the automotive industry which developed several small and medium-sized enterprises (SMEs) and other related industries which highly contributed for the growth of the economy. The company shall keep pace its world-class manufacturing plant capable of producing export quality vehicles that will further boost the Philippine economy. As MMPC surpassed its millionth unit sales, the company eagerly looks forward in bringing new and exciting vehicles designed to meet the needs of the Filipino people.